Formule Ford | Ford dealership in Granby. YOUR FORMULE FORD DEALER OF GRANBY (BETWEEN MONTREAL AND SHERBROOKE) IS PROUD TO PRESENT THE COMPLETE COLLECTION OF NEW FORD VEHICLES. FORMULE FORD, YOU ALSO OFFER A VAST SELECTION OF USED CARS AND TRUCKS FOR ALL BUDGETS AT BEST PRICE. The members of the FORMULE FORD team are here to help you find the vehicle that will meet your needs and exceed your expectations. FORMULE FORD Granby, offers exceptional customer service and personalized in all departments. Whether you want to buy a new car or a used car, for the maintenance of your car, for parts and services, for credit or financing, you will be accompanied by qualified and professional people . Whether you are targeting a new Ford F150 or a used Ford Focus, our consultants will tell you what's available. Rest assured that your Ford FORMULE FORD shopping experience will be enjoyable. We are committed to answering all your questions clearly and precisely. Our credit / finance department allows you to get a car loan at a favorable financing rate on new and used cars at the best price. Take a 2nd chance at credit with the highest acceptance rate on the market at FORMULE FORD of Granby . Come meet us in Granby, exit 68 of Highway 10 between Montreal and Sherbrooke in Estrie (Montérégie) in a friendly atmosphere. 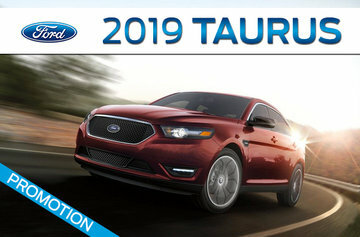 See our new Ford models as well as our wide range of used cars from various car manufacturers (Chevrolet, GMC, Toyota, Nissan, Honda, Hyundai, Kia, Mitsubishi, Acura ...). We offer you compact cars, sport utility vehicles (SUVs), family vans or more sporty cars to increase your driving pleasure in Estrie or elsewhere. All our used vehicles are inspected by competent technicians who ensure the quality of each unit. At FORMULE FORD of Granby, we want you to feel safe driving your new car. Do not hesitate to entrust your vehicle to the FORMULE FORD Parts and Service Department. Our experts know the mechanics and bodywork of your car or truck and will take care of it. We will direct you to what is best to maximize the performance of your car and keep it in the long run. Preventive car maintenance can prevent some expensive damage to your car for a lower price. FORMULE FORD of Granby, invites you to visit your dealership's website regularly. You can always contact a member of our team, request a quote, schedule a test drive, make an appointment for the service, ask your questions, request financing (credit) and even purchase a ticket. auto online! You can also visit our Facebook, Youtube or follow us on Instagram.